The period of the presidency of Viktor Yanukovych was accompanied by deep erosion of the Security Service of Ukraine (SBU). Such factors as stopping the previous stage of reformation (2005-2009), strengthening the influence of RF special services, politicization of the work of the department, the growth of corruption factors in the activity of the special service, etc., were manifestations of this. As a result of the Revolution of Russia's Dignity and Aggression against Ukraine, the cleansing of Ukrainian intelligence services from the dominance of foreign agents took place. At the same time, the fundamental change in the security situation after 2014 made the issue of reforming the SBU one of the priorities of state policy. The "hybrid war" that Russia has set against Ukraine has also changed the emphasis in the work of the SBU. The Special Service has paid much more attention to new areas of activity, in particular the fight against terrorist threats, cyber defense, the exchange of prisoners, the creation of open information bases concerning the facts of Russian aggression, and public communication. The structure of the Counterintelligence Department and the counterintelligence units of the SBU regional bodies was reformed. The level of strategic management in the security sector has been increased by establishing at the Security Service of the Situation Center, which interacts with similar centers of other state bodies and with the Main Situational Center of Ukraine under the National Security and Defense Council of Ukraine (NSDC). The structure and tasks of the Department for the Protection of National Statehood (Department "T") have been optimized. The modern methods of training the personnel of the Special Operations Center for Combating Terrorism of the Security Service of Ukraine, which are applied in the EU member states and NATO, are introduced. In January, 2018 began working on the Situation Center for providing cybernetic security, created on the basis of the Department of counter-intelligence protection of the state's interests in the field of information security of the SBU. At the same time, according to the current legislation, the SBU continues to exercise powers not specific to the special services. First of all, it is a fight against corruption and economic crime. Therefore, these aspects, as well as the slow pace of reform of the special service, are met by misunderstandings by the public, the expert community and official missions of the EU and NATO in Ukraine. Facilitate the rapid and effective exchange of information with NATO member states and the EU. In addition, the Strategy refers to the expediency of ensuring the transfer of most law enforcement functions, in addition to combating crimes against the foundations of national security, from the SBU to law enforcement agencies. 2) 14 On March 2016, the President of Ukraine, by his decree, issued the Decree of the National Security and Defense Council of Ukraine "On the Concept of the Development of the Security and Defense Sector of Ukraine", which defined the main directions and guidelines in the reform of the SBU. Disclosure and counteraction to transnational and interregional organized crime groups. protection of state secrets ". Thus, from the list of activities of the SBU, the activities of this special service that are not inherent in the fight against corruption and economic crime are excluded. At the same time, the provisions of the new law, which left the control of the "economic security of the state" unusual to the power body, was controversial. According to most of the public activists, since the SBU will retain the counter-intelligence protection of the state's economic security under the new law, cases of business harassment may continue. Also, the Law "On National Security of Ukraine" does not regulate the issue of demilitarization and reduction of the staff of the SBU. These and other issues will be specified in the Law of Ukraine "On Amendments to the Law of Ukraine on the Security Service of Ukraine". In accordance with the Law "On National Security of Ukraine", the SBU is required to develop a relevant bill within six months (by January 2019) and submit it to the President of Ukraine for submission to the Verkhovna Rada of Ukraine for consideration. P. Shatkovsky: "The draft law "On Amendments to the Law of Ukraine on the Security Service of Ukraine" is currently in the process of being worked out, and materials have been submitted for processing to the NSDC Apparatus. " 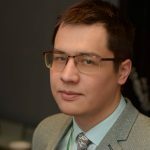 O. Belov: "The draft law should be approved by the current convocation of the Verkhovna Rada, since after the elections (October 2019), the draft laws of the previous parliament are returned for reconsideration. Accordingly, if you do not finalize work on the document in the next six months, the reform may not be in the foreseeable future. " By the Decree of the President of Ukraine No. 92 / 2016 from 14 March 2016 of the year ("On the Concept of Development of the Sector of Security and Defense of Ukraine"), the Security Service of Ukraine was tasked to prepare conceptual and program documents for reforming the SBU within three months (by 14 June 2016). An international group of advisers was formed to fulfill this mandate. It includes experts from the EU Civic Security Advisory Mission (CMES), the NATO Liaison Office and the NATO Information and Documentation Center in Ukraine, as well as the official representatives of the partner special services. 10 June "Concept of Reforming the Security Service of Ukraine" was submitted for approval to the National Security and Defense Council. However, the draft Concept was subsequently returned to the SBU for further elaboration. In addition, it turned out that western experts who directly participated in the development of the concept during 2016 year, were not involved in its further refinement. According to some information, the final version of this document was developed and re-presented by the National Security and Defense Council in October 2017. However, the Concept has not been approved at the official level. To date, the draft concept remains a closed document, the text is not even in the profile parliamentary committee. P. Shatkovsky: "The provisions of the draft Concept of SSU reform were taken into account in the work on the Draft Law on Amendments to the Law of Ukraine on the Security Service of Ukraine." P. Shatkovsky highlights the following key areas of the SBU's reform: "strengthening the activity of monitoring, military counterintelligence, strengthening work on protecting state secrets, combating terrorism, changing approaches to ensuring security in the economy." O. Belov: "Given the transformation of the SBU into a special service, the focus of its relevant units should be focused on counter-intelligence activities and information and analytical support of the state leadership regarding the challenges and threats to national security in the defense industry, the economic, energy, financial and banking spheres." At the same time, Alexander Lemenov believes that the ranks of the reform does not eliminate the political influence of the president on the activities of the special services. The step-by-step optimization of the fight against organized crime shows that, after reforming the special forces, the SBU will focus on countering transnational criminal groups and other criminal organizations and groups, as well as conducting a counterintelligence search in this area. In this context, discussions are continuing on the feasibility of liquidating the SBU (the Glav KK of the SBU) of the Main Directorate for Combating Corruption and Organized Crime. Although the provisions on combating corruption in the law on national security are excluded from the powers of the SBU, this will not lead to the immediate elimination of the Head of the "K". According to the experts, after the reform in the structure of the SBU, Glav K should be preserved to counter international organized crime, which threatens national security and has corruption links. P. Shatkovsky: "Within the competence of the SBU, the fight against drug trafficking, organized crime, counteraction to the smuggling of weapons of mass destruction and their means of delivery must remain. In many cases, when it touches on international interests, special services work. Special services of other countries will not work with our police a priori, only at the level of a request. In such cases, interaction is possible between the structures of a single culture. " The need to inform people's deputies about the peculiarities of the functioning of the security and defense forces. O. Belov: "At the end of May, in the 2018, a group of people's deputies, together with foreign and domestic experts, agreed on the model of a future parliamentary committee that will carry out control functions for the activities of special services. An important aspect is that the requirements for the selection of parliamentarians will be strengthened. There is a separate procedure for checking and admitting members of such a committee to work ". P. Shatkovsky: "The leadership of the Verkhovna Rada and the head of the majority of factions support proposals to establish a reasonable limit for the committee's access to the process of planning operations. The safety of employees under cover of operational sources can not be called into question. In the warring country, the requirements for this should be particularly high. Also, the staff of the profile committee should be formed on a professional basis. " In the context of the implementation of the transitional provisions of the Constitution of Ukraine and the amendments to the Constitution, prepared for the implementation of the amendments, the reform of the judicial branch of the government provides for the development of a new system of pre-trial investigation. 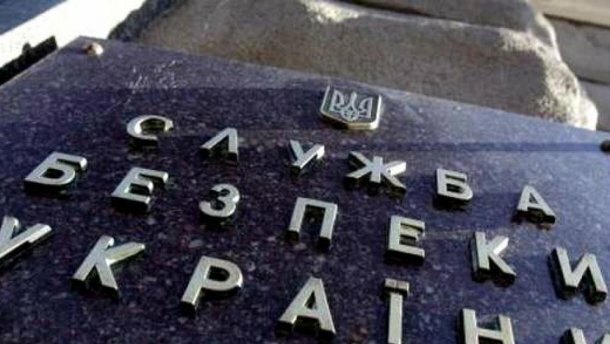 With the deployment of this system (the formation of the State Investigation Bureau of Ukraine (DDB), the National Police, the reform of the prosecutor's office), it is possible to deprive the SBU of a number of investigations that are not special for the special service. In this case, in the interests of securing state security, units of the Central Administration and the bodies of the SBU can carry out prompt support of criminal proceedings instituted by other state bodies on their materials. P. Shatkovsky: "The SBU should work on bias, obtain information, for example, about the threat of a terrorist or technological attack, rather than engaging in an investigation into what has already happened. It is intended to reduce the competence of the SBU to investigate crimes defined by the Criminal Code as threatening public security - espionage, state betrayal, and terrorism. " O. Belov: «Given the level of danger to man, society and state, the Security Service of Ukraine should leave the investigation of a number of crimes, in particular, against the foundations of national security, terrorism, in the sphere of state secrets and cyberspace ". In today's conditions of active engagement of bodies and units of military counterintelligence and their employees in the area of ​​conducting the CIA, it is extremely important to maintain their effective activity and combat capability. It is also worth noting that the SBU's military counterintelligence units carry out counter-intelligence services of the apparatus and other structures of the Ministry of Defense of Ukraine, General Staff, types and families of the Armed Forces of Ukraine, the National Guard, the State Border Guard Service of Ukraine and other military formations. Today, some SBU reform projects suggest that the military counterintelligence unit could move to the Armed Forces of Ukraine in the future. At the same time, the Security Service prepared a draft Law of Ukraine, which provides for the operation of military counterintelligence as a separate unit within the Central Administration of the SBU. One of the most difficult issues that arises during the reform of the SBU is the division of powers between law enforcement agencies in order to ensure an adequate level of national and state security of Ukraine. Today, new bodies are being formed: the National Anti-Corruption Bureau of Ukraine, the National Agency for the Prevention of Corruption, the State Bureau of Investigations and the National Police of Ukraine, the reform of which has not yet been completed. Therefore, the transfer of powers to combat corruption and organized crime from the SBU to other law enforcement agencies at the present stage can lead to a functional and legal vacuum in the national security system. O. Belov: "As an example of the fight against corruption, we have a marked crisis. The problem is the lack of coordination of the newly created structures (the National Anti-Corruption Bureau of Ukraine (NABU), the State Bureau of Investigations (DBR)) and the SBU. Otherwise, there may be gaps in the country's economic security. " Within the current stage of the SBU's reform, the institutional capacity of the special service as a specially authorized state body in the sphere of counter-intelligence activities and ensuring the protection of state secrets, the main body in the national system of combating terrorist activity, is being enhanced. The key direction of the SBU's reform is to optimize its activities by depriving the special services of functions that are unusual to her - primarily because of the refusal to combat economic crimes. Accordingly, the question of the expediency of preserving units of economic security and units in the fight against organized crime remains in the SBU. Legal certainty in this plane blurs the boundaries of functional tasks and powers of the SBU and other law enforcement agencies (NABU, National Police, DBR). At the same time, the scope of the SBU's powers in the field of pre-trial investigation needs further clarification. An important aspect of the SBU's reform is also the gradual demilitarization and the establishment of an optimal balance between military and civilian positions within the SBU structure. The priority of the reform is to improve the mechanisms of democratic civil control over the SBU's activities through the creation of an appropriate Committee of the Verkhovna Rada, ensuring an adequate level of social and legal protection of special service employees; increasing the participation in international cooperation of special services. Finally, it should be noted that in determining the tasks, functions and powers of the SBU, it is necessary to take into account the challenges and threats to the national security of Ukraine, the tactics of the activities of the special services of the Russian Federation and their illegal armed formations controlled by them. Andrei Syzranov: "Working Group on the Caspian Sea in Baku - Landmarks and Contradictions"
Rauf Radjabov: "The South Caucasus as a single platform for cooperation: the prospects, illusions and priorities of players"
Copyright © 2019. All rights reserved for materials located in the domain zone cacds.org.ua, belong to the Center for Army, Conversion and Disarmament Studies.